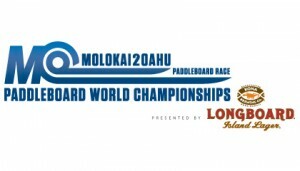 The Molokai 2 Oahu Paddleboard World Championships is much bigger than its event day. It is the icon of the paddleboarding sport & waterman lifestyle. Stand Up paddleboarding (SUP) is the fastest growing sport in the world. Unlike surfing, it is not tied to the coasts but is widely participated in rivers and lakes around the world. It is the sport that brings the surfing, Hawaiian and California lifestyle to the rest of the world. M20, like other iconic endurance events is a deeply personal experience and defines a champion in every sense of the word. Connecting the islands of Molokai and Oahu M20 is a 32 mile race crossing the ka’iwi Channel – known as “The Boneyard”, one of the deepest channels in the world. With winds in the 20 mph range and 8- 20 foot swells mid-channel it is considered the ultimate test of skill as a waterman and human will and as athlete pick their own line between the islands. M2O is the event that drives the sport. Much like Ironman, the images and stories from the M2O crossing fuel the sport from its entry level to its world champions. SUPers on the Chicago, Thames and Singapore rivers draw their inspiration from the Kaiwi channel. M20 will soon launch a global series of qualifying events near major cities. These events will be more about broad-based participation than identifying the world’s top paddlers.